Here in the United States, Thanksgiving is just around the corner. For many of us, nothing says America quite like this belt-busting, family-friendly holiday. From the annual football game to the Macy’s Day parade, Thanksgiving is a celebration of some of the traditions and privileges our country treasures most. Here are six awesome ways other countries celebrate Thanksgiving. Although it may seem like a quintessentially U.S. holiday, celebrations of thanks — particularly around the harvest season — are popular all around the world. While the seasons and reasons may vary, gathering with loved ones to give thanks for family, friends, health, and heritage is a tradition the world over. Curious how other nations show gratitude through special holidays? Sound familiar? That’s because our neighbors to the north celebrate their Thanksgiving holiday in many of the same ways that we do. But what you may not know is that the first Canadian Thanksgiving took place 43 years before the first American Thanksgiving in 1621. For Canadians, the first feast was held by English explorer Martin Frobisher, who held a dinner of thanks to celebrate their safe journey to what is now Baffin Island. Canadians celebrate their Thanksgiving on the second Monday of October, creating a three-day weekend that ushers in vacationing, visiting with family, parades, a Canadian Football League doubleheader, and — of course — a great feast for all. You already know about Oktoberfest, the world’s largest folk festival. But Germany is also home to Erntedankfest, or harvest of thanks. 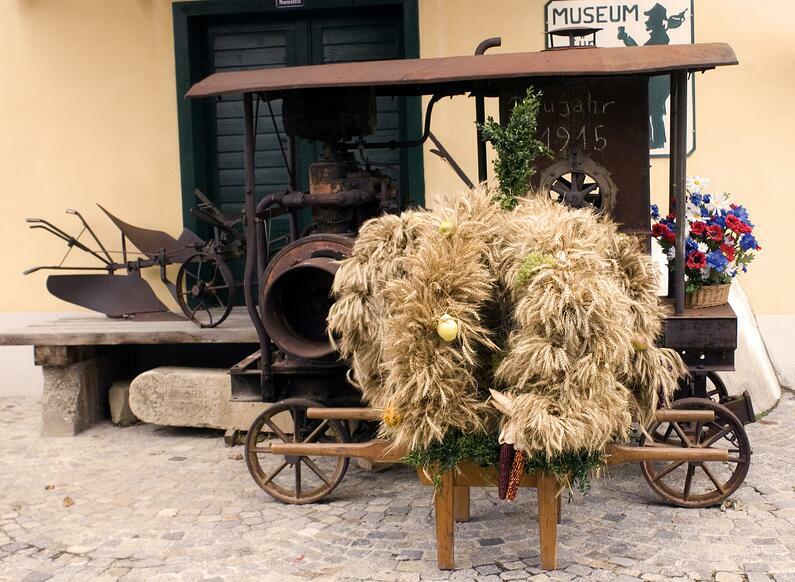 The holiday is also popularly known as Erntedanktag, which means harvest of Thanksgiving day. Although it’s not an official holiday in Germany, harvest celebrations take place across the country each October, particularly in rural areas and throughout religious communities. A hallmark of this festival is the Erntekrone, or harvest crown, which is a traditional, handmade crown crafted from the year’s harvest — think flowers, grain ears, and fruit. Traditionally, community members will carry this ornate tribute to the harvest to their church, and after a service, parades, music, and feasting will ensue. What’s not to love? In Japan, Kinrō Kansha no Hi is Labor Thanksgiving Day — in other words, it’s a day devoted to giving thanks and celebrating the labor of Japanese citizens. Celebrated on November 23, Labor Day Thanksgiving evolved from a more traditional harvest festival into a national holiday after World War II. Kinrō Kansha no Hi was established to observe the expansion of human rights and to honor one another for the fruits of their labor and production. Every year, the holiday is celebrated with festivals across the country, conversations around peace and human rights, and handmade gifts and cards from local school children to their kōbans, or local police stations. Around the country, citizens celebrate one another, their hard work, and their gratitude for workers’ rights. Put on your dancing shoes — southern India’s ten day harvest festival Onam is one of the region’s biggest festivals of the year. Marked by stunning floral decorations outside the home, feasts served on banana leaves, and spectacular fireworks shows, this traditional festival is rich in culture, history, and a whole lot of fun. Onam takes place during the Malayalam month of Chingham, which is August and September on the Gregorian calendar. Onam is a Hindu festival that commemorates the homecoming of King Mahabali, and although Onam is a religious festival, people from many religions and backgrounds take part in the festivities. At the heart of the festival, the idea is to send a message to the King that his people are prospering and well. So if you’re happy and you know it, get in on the fun and celebrate Onam! Now, we take our world gratitude tour to Barbados, where the nation’s biggest holiday is the harvest festival Crop Over. This isn’t your typical Thanksgiving celebration — Crop Over lasts all season long, kicking off in June and wrapping up in August. Crop Over began as a celebration of the end of the sugar cane season (get it? Crop over? ), back in the 1780s when Barbados was the world’s leading producer of sugarcane. Today, Crop Over has been reinvented to celebrate the rich and vibrant culture of Barbados, including the country’s music, food, dance, and even fishing industry. Expect everything from drinking contests to calypso competitions during this three-month long festival. Wondering about that greased pole we mentioned? Greasy pole races are a popular competition during Crop Over — whoever climbs to the top of the greased pole first gets the prize! Not quite ready to grease up and climb with the Barbadians? Maybe London’s Harvest Festival is more your speed. For two days in October, enjoy a picturesque Harvest Festival, where the streets are lined with the fruits and vegetables of London’s finest growers, harvest decor, and apple treats aplenty. The festival is organized by the Royal Horticulture Society and gives any autumn addict their fill on giant pumpkins and vibrant harvest colors. Whether you decide to go dancing in Kerala or parading on Prince Edward Island, there’s always a reason to give thanks. There’s also always a new way to say thank you — why not challenge yourself to learn to say ‘thank you’ in a few new languages? With Mango, choose from more than 70 world languages and let your attitude of gratitude shine. Click below to try learning another language for free with Mango!